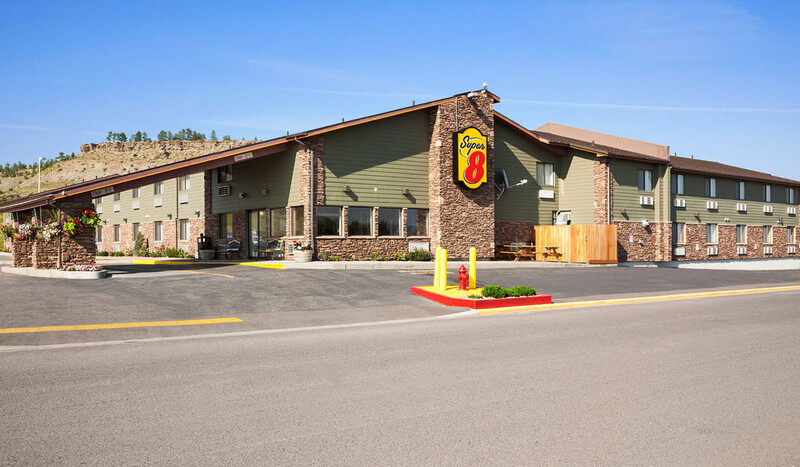 The Super 8 of Columbus is the Gateway to enjoy The Yellowstone River, Yellowstone National Park and Beartooth Highway. Guest will find fishing, hunting, golfing, hiking, rafting, and much more to do while in the area. The Hotel features 72 comfortable rooms, free high speed Internet, complimentary 24 hour coffee along with free cookies baked fresh daily. Guests also enjoy our complimentary "SuperStart" Breakfast which includes hot waffles, hard boiled eggs, hot and cold cereals, yogurt, and fresh fruit, gourmet coffee, the very popular "Simply super" Cinnamon Rolls and much more. Each room features in-room coffee, hairdryer, iron & board, and an exceptional array of amenities to make your stay more comfortable. Pets allowed with fee. Within walking distance to the hotel are a variety of restaurants and specialty shops such as Montana Silversmiths. Adjacent to the hotel is the Town Pump Travel Plaza for fuel, snacks and beverages and Lucky Lil's Casino, Montana's best casino! Just one visit and you will see why we are Columbus's Hotel of Choice!